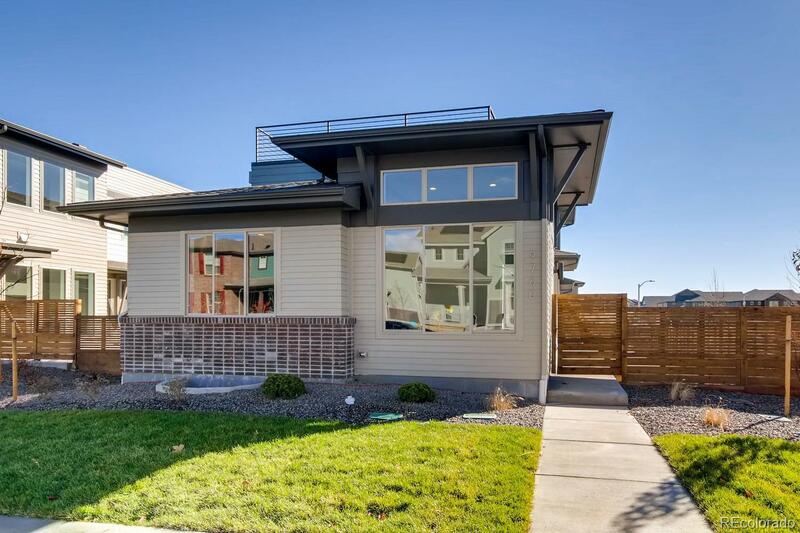 This home is complete and features a ROOF TOP DECK!! It features a main floor master bedroom with the secondary bedrooms on the second level and a Jack and Jill bath. Oversized center meet glass doors flow from the family room to a large exterior patio for outdoor entertaining. This home has beautiful hardwood flooring throughout the main level, upgraded Tharp cabinets throughout, quartz countertops and a full kitchen backsplash! Every closet has upgraded Closet Factory finishes. Oversized corner lot that is surrounded by a 5' privacy fence. Low maintenance lot, great for an empty nester or active lifestyle homeowner!